As we know well enough, RMS Titanic was a marvel of beautiful construction. 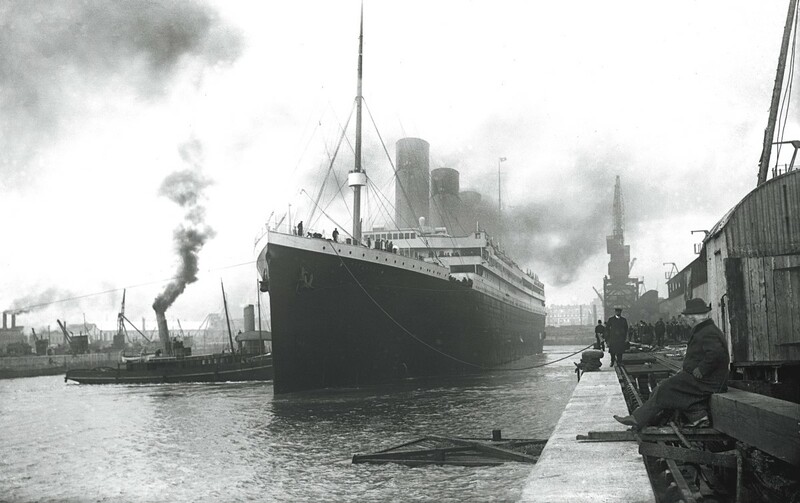 She was the largest, most luxurious, and most probably even the safest passenger liner with the best available technology of her day, the first decade of the 1900s. Built in the Harland & Wolffe shipyards of Belfast, she was launched on 31 May 1911. After trial runs, she was finally ready for her maiden voyage, which was to cover the classic route from Southampton (England) via Cherbourg (France) and Queenstown (Ireland), and westwards on to New York. In the Sacra Liturgia UK 2016 Conference in London, His Eminence Cardinal Robert Sarah, Prefect of the Congregation for Divine Worship and Discipline of the Sacraments, pronounced some very interesting words in his inaugural address that are being widely shared and commented on in the social networks. But, you may well ask, dear reader, why begin with the tragic story of the Titanic in order to relate it to the conciliar and postconciliar “reform” of the liturgy, as well as Cardinal Sarah’s intervention in Sacra Liturgia 2016? 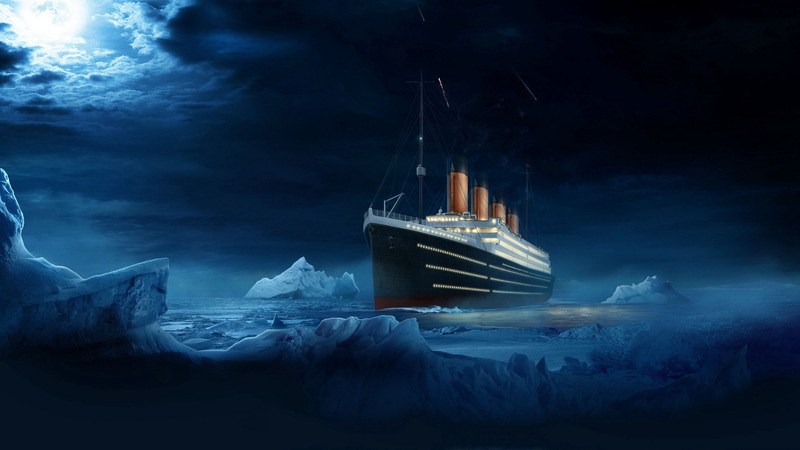 Both the Titanic and the Council started out on an optimistic endeavour. Both have met disaster on the way. The “unsinkable” ultimately sank, taking with her over 1,500 souls. Notwithstanding intentions, original or otherwise, the de facto liturgical “reform,” promoted by the constitution on sacred liturgy, Sacrosanctum Concilium of Vatican II, is still going asunder, taking countless more souls with it. Let us see here… so he is calling—some fifty years later, mind you!—for a supposed “more faithful implementation of Sacrosanctum Concilium.” He wishes to ascertain what the Council Fathers’ alleged original intentions were for liturgical reform. And how these alleged original intentions were implemented afterwards. To see if this was done in accordance. 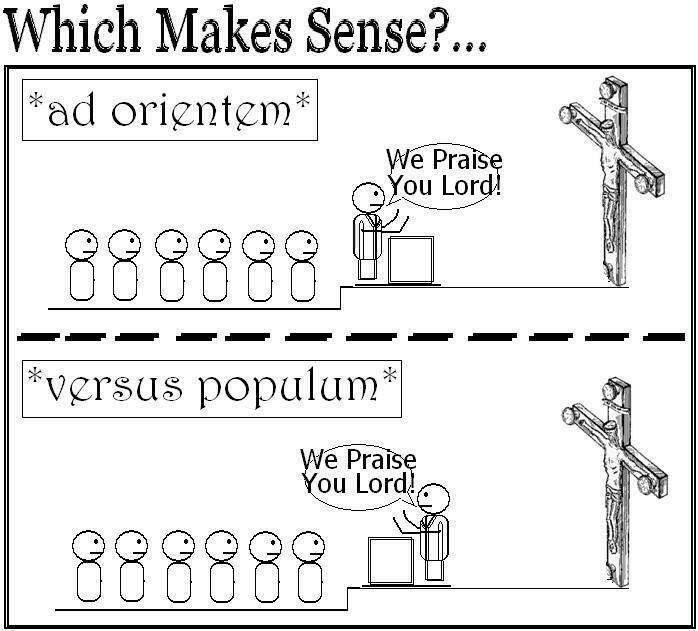 And his suggestions include celebration of the Mass ad Orientem, that is, facing towards the East, a common priest-faithful orientation, all looking in the same direction towards the altar, towards the Crucifix that should be in the center of the altar, looking towards Christ who is to come, as the Orient rising in the East. The liturgy of the Divine Office prays thus during the night hours of the Vigils of Matins: the eschatological expectation of the Lord’s Second Coming. And particularly chants at dawn in the canticle Benedictus during the Hour of Lauds: … To give knowledge of salvation to his people, unto the remission of their sins: Through the bowels of the mercy of our God, in which the Orient from on high hath visited us: To enlighten them that sit in darkness, and in the shadow of death: to direct our feet into the way of peace (Lk 1: 77-79). The facing of priest and faithful in a common direction ad Orientem, towards the East during Mass, beautifully expresses the reality of the Church-Spouse awaiting the coming of her Spouse, Christ, the Orient, the Sun—and The Son—who rises in the East, in Majestic Glory at the End of Time. And lest we forget, the Cardinal’s suggestion to also bid the faithful to receive Holy Communion on the tongue while kneeling. Yes, truly awesome pastoral suggestions from the Cardinal-Prefect of Liturgy, but… he is applying these pious initiatives to… the Novus Ordo Missæ? The New Order of Mass that was promulgated by Paul VI on 30 November 1969, after years of ad experimentum when the traditional Roman Rite of Mass was being dismantled gradually from 1964 onwards? The promulgation of this New Rite of Mass as the concrete putting in action of the conciliar constitution Sacrosanctum Concilium, that—lo!—was promulgated by the very same Paul VI on 4 December 1963? 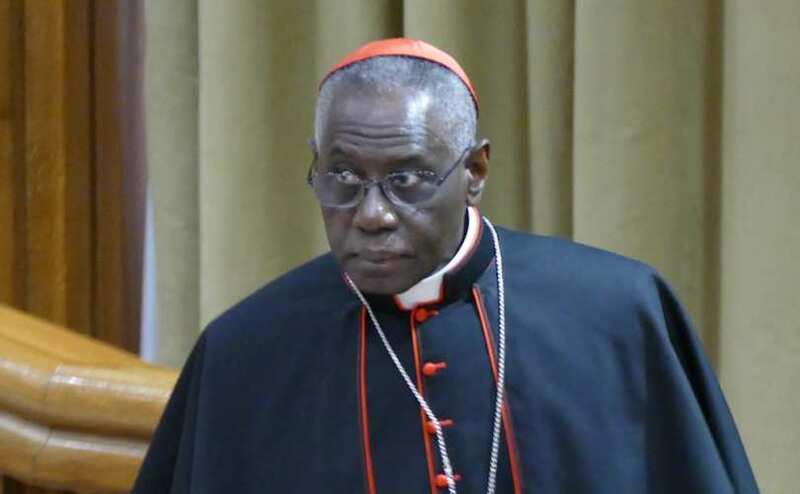 And Cardinal Sarah daring to further infer, that his suggestions would not only improve the celebration of the New Mass, it would mean actually being “more faithful” to the original intentions of the Council Fathers when Sacrosanctum Concilium (SC) was promulgated in the first place…? Really, Your Eminence? To be fair to the Cardinal, true enough, nowhere in Sacrosanctum Concilium do we read anything about the Mass being celebrated versus populum, that is, facing towards the people. Nowhere do we read the formal introduction of abominable modern-ist “liturgical music,” when even SC establishes that everything being equal—a suspicious loophole that would prove disastrous—Gregorian Chant merely has pride of place. We all know far too well what that means! We even read in SC that although the introduction of the vernacular has its pastoral usefulness, Latin was to be retained in… the Latin Rite! Who would have guessed, of all things, my goodness! And along with the symbolic “pride of place” for Gregorian Chant, we also know far too well how the beautiful language of Latin has fared in the new “Latin” Rite! And no, nowhere do we read the promoting of what has since become known as liturgical abuses, such as “clown Masses,” and other outlandish oddities so commonplace these past fifty some years. OK, in Cardinal Sarah’s defense, but… SO? So what? So what if none of what has become—de facto—typically characteristic of the Novus Ordo Missæ, is not explicitly written in Sacrosanctum Concilium? Could not the “reformers” have purposefully worked in phases, little-by-little, to wary us with continual changes, until we gave up and got used to it? Seems to be just exactly what they did: in 1963, Sacrosanctum Concilium, in 1964 Inter Oecumenici, in 1965-1966 changes gradually introduced in the ever-morphing rite of Mass, in 1967 the Missa Normativa, in 1969 the full-blown Novus Ordo Missæ. We had it coming! Do original intentions really matter so much, given what has actually been happening under the Council’s authority? Especially after half-a-century of consented and approved liturgical revolution? Is that proof enough therefore—as Cardinal Sarah is seemingly pointing out—that the Church has actually been unfaithful to her own principles of liturgical “reform” as set forth by Sacrosanctum Concilium? Is it at all reasonable to assert such? Or is it rather an utterly moot point to do so? To fathom what Cardinal Sarah is saying is to necessarily accuse—and likewise excuse—the postconciliar Popes, beginning with Paul VI himself, for having started permitting all this postulated “infidelity” to Sacrosanctum Concilium and all the official tinkering that came after. Alas no indeed, Cardinal Sarah certainly does not go that far. But that’s the only logical conclusion to his line of thought. And of course, it’s completely absurd. Hence the Cardinal’s weak position. Perhaps he should go that far, however, if only to set the record straight: the liturgical reform of the sacred liturgy, under the auspices of Vatican II, generally considered, has been one epic failure. Thus, we urgently need a liturgical re-set. That necessarily means going back to the ancient Roman Rite: of the Mass, the Divine Office, and the Sacramental Rituals. I wish to underline a very important fact here: God, not man is at the center of Catholic liturgy. We come to worship Him. The liturgy is not about you and me; it is not where we celebrate our own identity or achievements or exalt or promote our own culture and local religious customs. The liturgy is first and foremost about God and what He has done for us. In His Divine Providence Almighty God founded the Church and instituted the Sacred Liturgy by means of which we are able to offer Him true worship in accordance with the New Covenant established by Christ. In doing this, in entering into the demands of the sacred rites developed in the tradition of the Church, we are given our true identity and meaning as sons and daughters of the Father. But ironically, it is here also where the Cardinal’s otherwise sound liturgical reasoning, slams against SC and the de facto, officially approved liturgical “reform” that ensued. Such a statement, given by—no less!—the Cardinal-Prefect of Divine Worship and Discipline of the Sacraments—at a conference on the sacred liturgy of the Church, in A.D. 2016, is noteworthy, to say the least! Truth be told, it represents some of the most theologically sound contributions made towards the liturgical life of the Church—after Vatican II—by a high-ranking prelate in Rome. But ironically and paradoxically, it also undermines the very theological foundation of Cardinal Sarah’s surprising statements: i.e, it simply cannot be readily applied to the Novus Ordo Missæ. And more so: it can’t be applied to the Novus Ordo by design. It’s rather like features in Microsoft Windows which are actually bugs, the same bugs being actually features in Apple macOS! Yes, dear readers of akaCatholic, the Novus Ordo Missæ is, by design, a Protestant, anthropocentric, liturgical form of worship. These are features, not bugs. Full stop. And this coming from a bi-ritual priest (for the time-being) such as myself. Does it, or can it, have its moments, here and there? Most certainly. I do what I can, and I know of Facebook priest-friends who have been celebrating ad Orientem and bidding their faithful to receive Holy Communion kneeling and on the tongue… and have been able to get away with it! 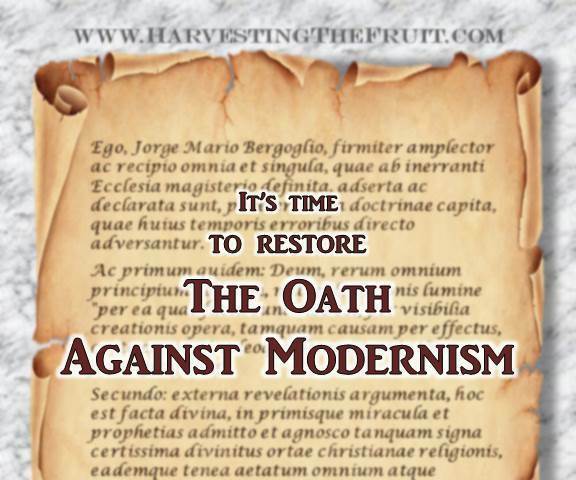 And I am quite sure my good brother-priests must realize that they can only continue to get away with ad Orientem Novus Ordo worship while their bishops either know it not, or do know what they are doing and either actively encourage it, or at least tacitly approve it. So, my good brother-priest Facebook friends have been, quite understandably, among the first to not only publicly support the declarations of the Prefect of Divine Worship in Sacra Liturgia 2016, but have shown great hope in his suggestions. As for myself, I admit to having been rather pessimistic about the real prospects for ad Orientem worship in the postconciliar rite, and the shifting to Communion exclusively on the tongue, whether kneeling or standing. Not going to happen at large, sorry. Call it intuition or whatever. Well, Father, it’s amazing nonetheless what Cardinal Sarah said, you know! It’s the start of something big! Well, his words are I suppose some sign of tenuous hope in this liturgical wasteland after Vatican II. With the exception, of course, of his rather naïve assertion that SC hasn’t really been applied faithfully all these years. Sorry, Your Eminence, but you surely must know that that’s just not the case. All in all, I haven’t been proven wrong—make no mistake—and in short time! The powers that be didn’t wait even 48 hours to discredit Cardinal Sarah’s traditional liturgical suggestions. This speed in counter-reaction would have made our childhood friend, the Road-Runner, run (meep meep!) for his money! Cardinal Vincent Nichols of Westminster, Sacra Liturgia 2016 and Sarah’s host no less!, immediately wrote a pastoral letter to his priests actually discouraging them from celebrating the Novus Ordo ad Orientem. All the time the Sacra Liturgia conference was still being hosted! I daresay now, that’s just awesomely fast, lest some poor naïve priest of his was just getting ready to implement Sarah’s suggestion for this upcoming Advent! But what’s particularly outlandish in his pastoral letter is the claim that—wait for it!—: Mass is not the time for priests to exercise personal preference or taste (!) Oh, really? I mean, really?? Only now, after Sarah’s intervention, is he concerned about priests exercising personal preference or liturgical taste, even if the Novus Ordo rubrics have always fully permitted—and in fact, presumed all along—ad Orientem worship? While Nichols noted that the Congregation for Divine Worship had confirmed back in 2009 that the General Instruction of the Roman Missal (GIRM) still allows for Mass to be celebrated facing East, the cardinal wrote: But it also ‘reaffirms that the position towards the assembly seems more convenient inasmuch as it makes communication easier’. Thus the expectations expressed in GIRM 299 remain in force whenever the Ordinary Form of Mass is celebrated. Well, the truth of the matter is this fact: #299 of the GIRM has been (deliberately) mistranslated to the vernacular, giving the impression that the liturgical legislation actually prefers or recommends versus populum worship. No! It actually states something quite different: that the altar preferably should be separated from the wall so as to be able to walk around it (such as when incensing) and make merely possible Mass versus populum. 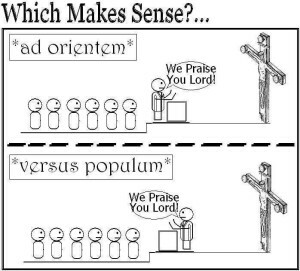 Back in 2002, when the Third Editio Typica of the Paul VI Missal was promulgated, the Congregation for Divine Worship, under then Cardinal-Prefect Jorge Medina, clarified that the GIRM in no way whatsoever legislated preference for either ad Orientem or versus populum worship. Honestly, on what planet has the Cardinal-Archbishop of Westminster been living on the past half a century? Who on earth is Nichols kidding? These past fifty years of typical Novus Ordo worship has been all about priests—and faithful made in their own image and likeness—abusing personal preference and imposing upon an unhappy Church bad liturgical taste: in artwork, in music, in vestments, in homilies, etc.! But lest we think this is a mere local issue, we come to learn that even Rome has intervened! Fr. Federico Lombardi must have received some order to do what he is best at: giving the “correct interpretation” to someone else’s previous words—lo!, this time not of Pope Francis, however—but rather of Cardinal Sarah’s words in Sacra Liturgia 2016. Well, since Fr. Lombardi has gotten so used to correction a posteriori, perhaps he reacted… instinctively. Fr. Lombardi did say though that Cardinal Sarah has always been rightly concerned about the dignity of the celebration of the Mass. But he added that some of his expressions were allegedly misinterpreted as if he were announcing new instructions different from the liturgical norms given until now, and the words of the Pope on the celebration of Mass towards the people in the Ordinary rite of the Mass. Sarah likewise stated—again, rightly so—that ad Orientem worship would ensure that in our celebrations, the Lord is truly at the centre. Your own pastoral judgment will determine how and when this is possible, but perhaps beginning this on the first Sunday of Advent this year… may be a very good time to do this. He also made a clear—but utterly vain—appeal to bishops to adopt the practice, asking them to lead your priests and people towards the Lord in this way and to form your seminarians that we are not called to the priesthood to be at the centre of liturgical worship ourselves, but to lead Christ’s faithful to him as fellow worshippers. Yet again, Cardinal Sarah’s words are, from a traditional liturgical perspective. theologically very insightful and quite correct. Problem is that they cannot be applied to the Novus Ordo Missæ. 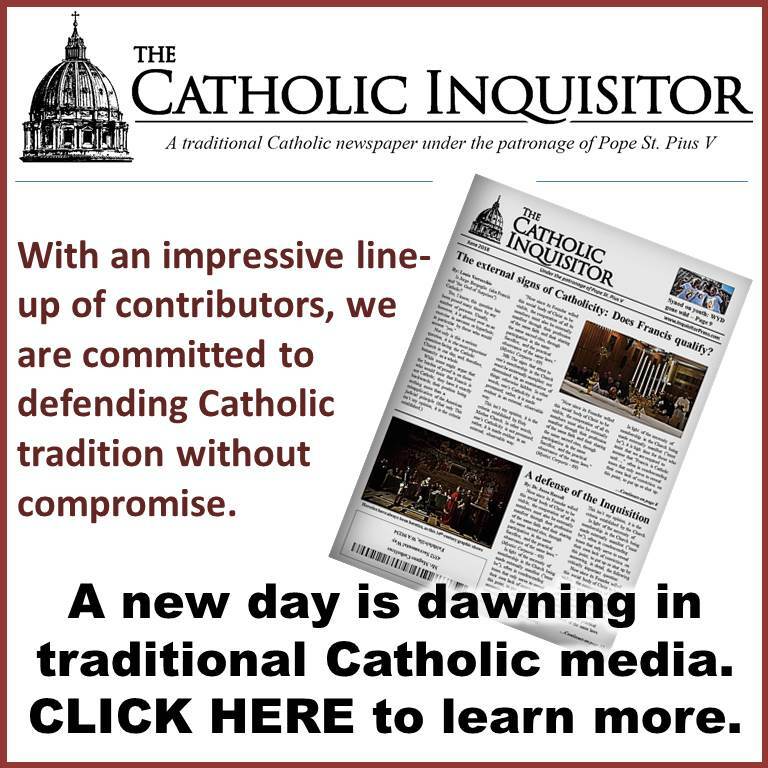 Certainly, no forthcoming “traditional” modifications to the Novus Ordo will be encouraged by bishops whose likes positively ignored John Paul II’s 1984 Indult for the Traditional Latin Mass, only to treat Benedict XVI’s 2007 universal right to the Traditional Rite as if it were a mere indult… an insult if ever there was one. What, and run the risk of making the anthropocentric New Rite of Mass look even remotely similar to the theocentric Old Rite of Mass?? Therefore no, I’m afraid these pious and also theologically sound suggestions, will not be implemented at large in the postconciliar rite of the Church, any time soon. Of this we can be sure from negative reactions from prelates like Cardinal Nichols, the Bishop of Little Rock, Arkansas, and from the Vatican herself. In his communiqué, Fr. Lombardi merely repeated the mistranslation of #299 of the GIRM, regarding the disposition of the altar, in order to justify—legally incorrect—versus populum worship. Fr. Lombardi concluded by saying that all of what he had said in his communiqué was unanimously expressed during a recent audience granted by the Pope to the cardinal prefect of the Congregation for Divine Worship. And Cardinal Sarah met the Pope in private audience on Saturday, soon after his return from London. Poor fellow, wonder how that meeting went! Meanwhile, Papal advisor Fr. Antonio Spadaro, published several tweets, incorrectly quoting from the GIRM, emphasising that Mass should be facing the people. Oh yes, Papal advisor Fr. Spadaro, who cares that you are—and the Pope, for that matter—violating liturgical law, without even the decency to change it, at least! Although Cardinal Sarah made no distinction between what since Benedict XVI’s Motu Proprio Summorum Pontificum (2007) and later Instruction Universæ Ecclesiæ, (2011), is known as the Ordinary and Extraordinary Forms of the Mass, Fr. Lombardi said that Pope Francis, when he recently visited the Congregation for Divine Worship, specifically mentioned that the Ordinary form of the Mass (aka Novus Ordo) is that provided by the Missal promulgated by Paul VI, while the Extraordinary Form (aka the Traditional Latin Mass of All Ages) must not take the place of the Ordinary. Just for extra clarity, Fr. Lombardi added: There are therefore no new liturgical directives foreseen from next Advent, as some have wrongly inferred from some of the words of Cardinal Sarah, and it is best to avoid using the expression ‘reform of the reform’ when referring to the liturgy, as it’s sometimes been a source of misunderstandings. Well, now that’s ironically true: it is utterly useless to keep talking about Benedict XVI’s supposed “reform of the reform” of the sacred liturgy. Firstly, there took place no liturgical “reform” at Vatican II: it was a liturgical Revolution. 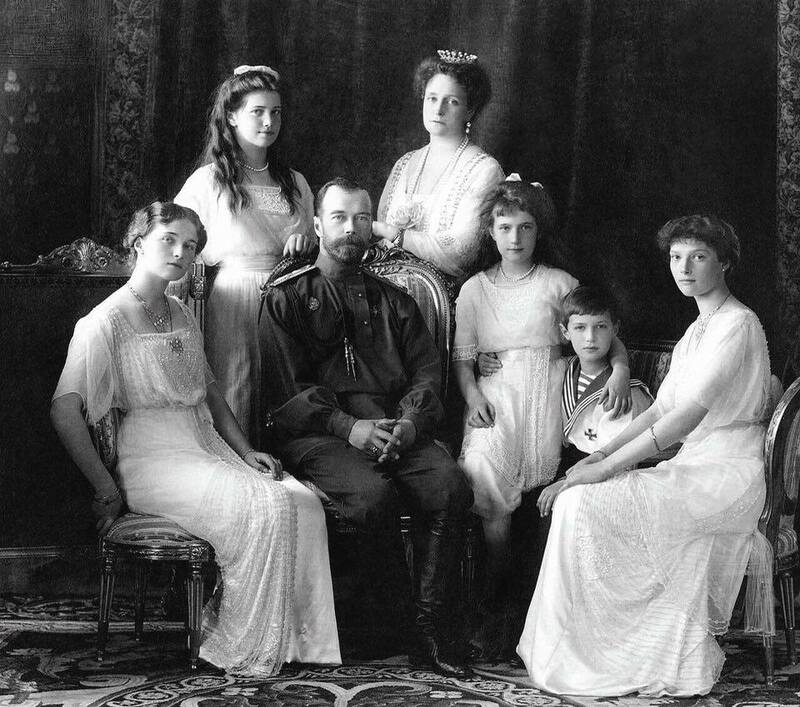 Its effects are similar to the nefarious 1917-1918 Bolshevik Revolution that overthrew and murdered a beautiful and pious (alas, Eastern Orthodox, not Roman Catholic) Russian Imperial Romanov Family… including children and the family dog; i.e., very thorough. The Novus Ordo Missæ would seem to be the liturgical representation of Original Sin with the Fall of Adam and Eve; i.e., with deep, inherited, long-lasting effects on humanity, in imperious need of divine intervention. And secondly, as we have just witnessed the unaccustomed celerity with which certain prelates and even the Vatican, have stepped over themselves to, in practice, discredit Cardinal Sarah’s otherwise sound liturgical suggestions. Indeed, any notion of “liturgical reform of the reform” is meaningless. What Holy Mother Church needs—urgently—is a liturgical restoration—nothing less will do. But—irony of ironies—the most postconciliar progressives are actually quite the conservatives when it comes to a true, organic reform of the sacred liturgy, as the Church has traditionally always done throughout the ages… before Vatican II. It must be extremely difficult indeed to stop looking at and worshipping our wonderful little selves. One can almost hear a familiar dialogue from the fairytale, Snow White (yes, we traditionalists can dialogue too! ): Mirror, mirror on the wall, who is the most progressive of them all? 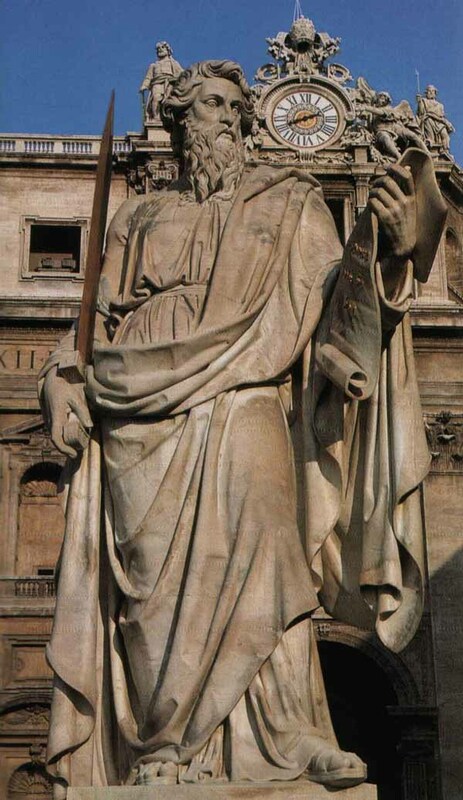 And so, Cardinal Sarah, (still as of this writing) the Vatican’s Prefect for Divine Worship and Discipline of the Sacraments, would have us look towards the East. And he is quite correct, for the Orient—Our Lord Jesus Christ—is our only hope of Redemption and Salvation. Something that on many other doctrinal and pastoral levels, and not only liturgically, many in the Church seem to neglect. Oh yes, we are sure looking “forward” all right, but in the wrong direction: towards the westering sun, ultimately towards ourselves in a liturgy we make in our own image and likeness, towards the ever increasing darkness of a life-threatening iceberg that we may not avert in time… pro multis, for many. Rome losing the faith: What does Scripture say? It’s time to hear the whole truth about liturgical meddling. The liberal Pope Pius XII was the first liturgical innovator. He changed parts of the Holy Week services that went back to the Apostles. This was the same Pope that said he didn’t read the Fatima Secret so as not to be influenced. That never made the slightest bit of sense to me. Paul VI’s promulgation of the NO went into effect on the First Sunday of Advent. You couldn’t script it any better. 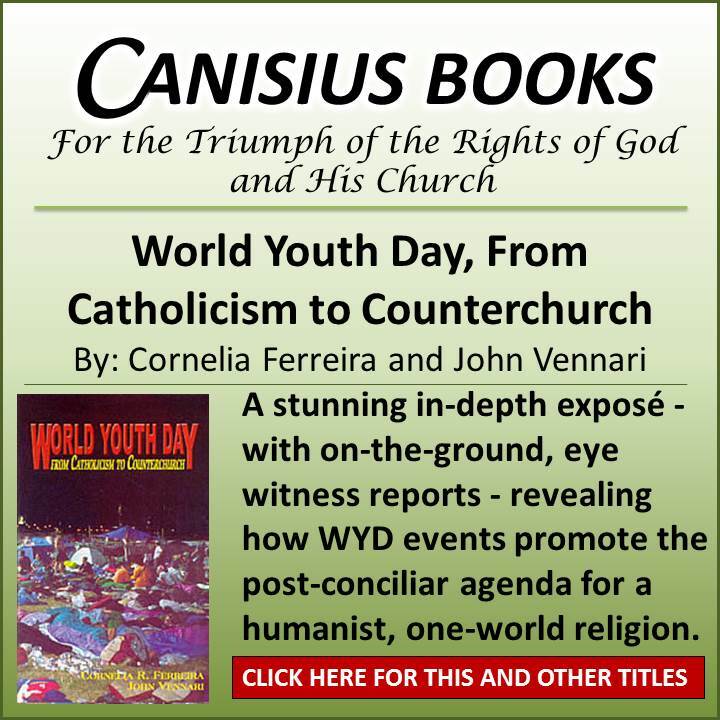 Liturgical change for change sake, the “Council”, a new Mass and JPII turning it all into a global Woodstock. Pope Francis is trying to deliver the coup de gras, but Our Lady of the Rosary has a different plan. rushintuit, Excellent, I thank you very much for your reply. There’s extenuating circumstances that separate the actions of Pius X, XI and XII. Pope Saint Pius X enjoyed the protection of the Holy Spirit. In 1929 the Lateran Treaty gave Pius XI a huge windfall of cash. Entrusting the sum to a family friend to invest, took the Church into massive financial corruption. The family friend’s name was Bernardino Nogara. Pius XII kept Nogara on as head of the Vatican Bank and the corruption continued. Long story short, Pius XI mentioned by name at Fatima, laid the foundation for the Modernist revolt. Pius XII was complicit as well. Is it any wonder then why Vatican II, un-assisted by the Holy Spirit, introduced the Cult of Man? Outstanding article. Louie! 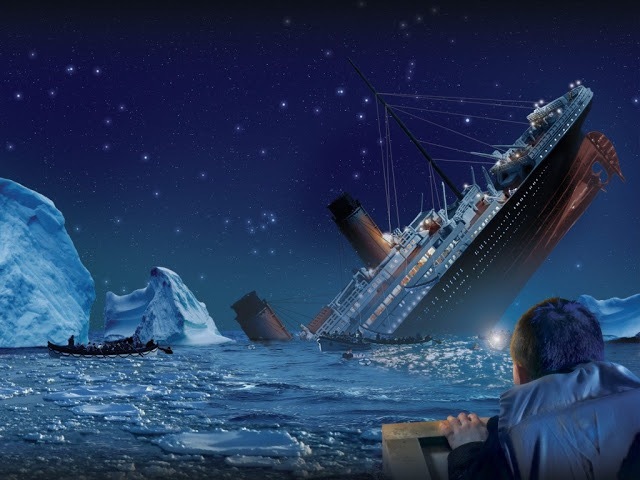 Perhaps, the first fault which led to the Titanic tragedy was Pride, thinking it to be unsinkable and, therefore, removing some of the lifeboats in order to make it more “pleasing to the eye”. However, I doubt that the designer of this ship intended for it to sink (He was one of the 1500 who perished). 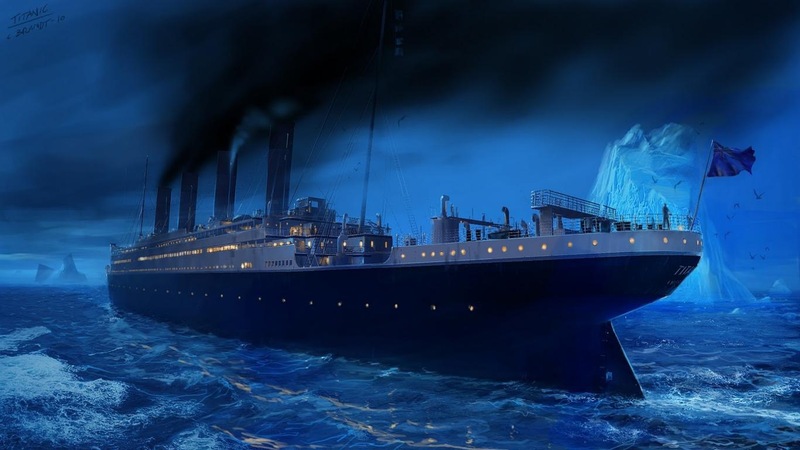 On the other hand, the architects of Vatican II intended for the Catholic Church to sink, carefully and skillfully piloting the Barque of Peter by Modernist Popes, Cardinals, Bishops etc toward the iceberg in its path. Cardinal Sarah’s efforts to fix the Titanic ,while admirable, are in vain because the enemies of the Church are still on board and in control. What does “pride of place” mean? Relics? Museum pieces? There is a beautiful saying “Love does not consist in gazing at each other, but in looking outwardly together in the same direction.” This could be applied to “ad orientem”. Sadly, the Novus Ordo “church” gazes on man because it is the religion of MAN. The N.O. mass can’t be fixed any more than the Titanic can be fixed. 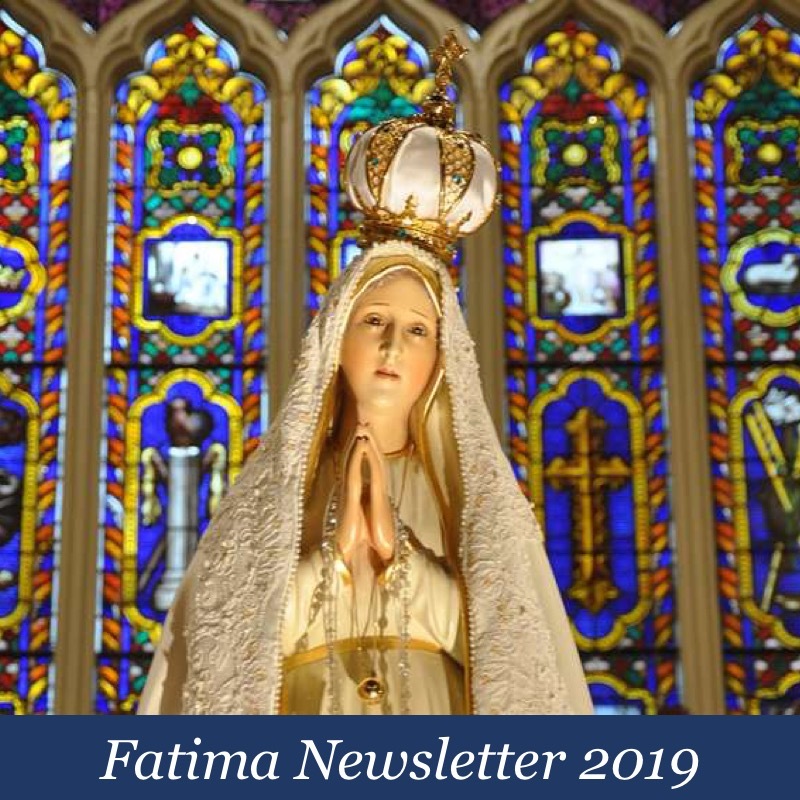 In the end, there will be only one lifeboat left—obeying the commands of Our Lady of Fatima. Thank you, Louie!! Father, my apologies. I read the article without checking author. Praise goes to you and for Louie for having you as a guest!!! God bless you always!!!! Jeremiah 32:33 And they have turned their backs to me, and not their faces: when I taught them early in the morning, and instructed them, and they would not hearken to receive instruction. Ronald Reagan is credited for stating: The most terrifying words in the English language are: I’m from the government and I’m here to help.” I have felt the same way about the Vatican for some time now. Recently, the pope has released his “Apostolic Constitution Vultum Dei quaerere on women’s contemplative life, 22.07.2016” It is a shot across the bow of contemplative life. The big guns will come out soon enough to interfere with the most sensitive area of Catholic life after the Mass, Contemplative life. By the time he is done, that power house of prayer will never be the same. So whether it is synods, encyclicals, apostolic exhortations, appointments or interviews, I dread their publications. I think Cardinal Sarah intentionally interjected this Sacra Liturgia UK 2016 Conference in London as I credit it to him. He must have known exactly what response he was going to get at the Vatican. He hardly ended the speech when he was called to Rome. The problem is that I who have lived before VII and knowing the sense of the faith instilled in me, am not those who came after VII. Their vision of the Church and its liturgy is totally distinct almost completely foreign. The NO Catholics were born into a Church that with every day is becoming more Protestant. We have all the trappings of the Catholic Church, but the symbols do not make the reality. With the present administration in Rome, there is no hope, none, zilch, and zero, to take a look at the “fruits” of the present day stemming from the root of VII and make a valid judgement. The Titanic denied the reality in front of them through pride and ignorance. Our Titanic is going full speed ahead. I mention the contemplative life, for it is a sign along the way of the course of our Church. The Vatican is meddling in things not out of ignorance, but intentionally to destroy its root. VII has not sufficiently blown its stench in their direction and the time has come. These poor nuns just want to pray for the salvation of souls, just like the faithful want to find the road to heaven. The Vatican is not the guide, but the pied piper of Hamelin guiding all its traditionalists to their termination leaving the NO or is that NWO to remain. rcaamo–excellent comment. Bergoglio will not stop until every resemblance to the true Catholic faith has been destroyed. Cardinals, Bishops, priests etc. who say and do “good” things are no match for the evil of this man. It is like getting your snow shovel ready when you see the avalanche coming your way. The Bishops are still asleep at the helm…even the so-called “good” ones. Will they wake up in time???? I don’t have much hope for that. The Titanic, the unsinkable ship, went down as the band played on! Well, this is the question…who exactly are the “good” hierarchy? This mess is now in its sixth decade in the making. If they havent woken up yet then you have to believe that they arent going to. Bergoglio is an anti-Catholic wrecking ball sending countless souls on the path to hell. No one in the hierarchy seems to care. A Bishop is not “good” simply because he happened to say something orthodox. As far as I’m concerned, they are all hirelings until they protect their flock from the wolves—Bergoglio is the biggest one out there. 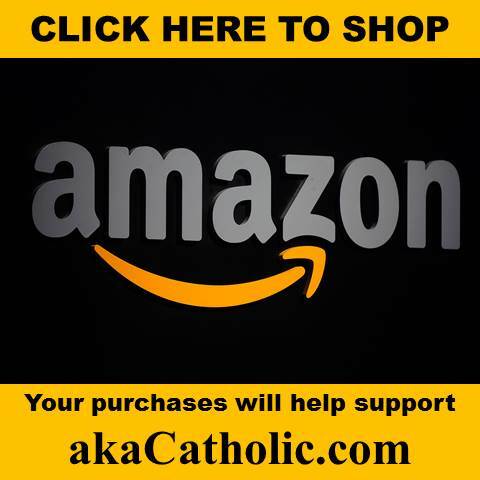 Father Campo–I look forward to your next article. Can you share your thoughts as to why the hierarchy are silent as they witness this outright assault on the faith they are supposed to love, protect, defend and promote? It’s maddening!! How could they possibly be concerned with the salvation of the flock when it is obvious, they have no concern for their own salvation! Thank you, Father.